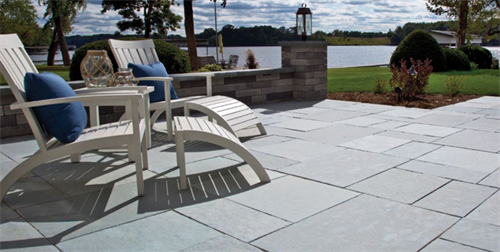 Landscape & Masonry Supply offering superior service & products to homeowners, contractors, designers and architects. 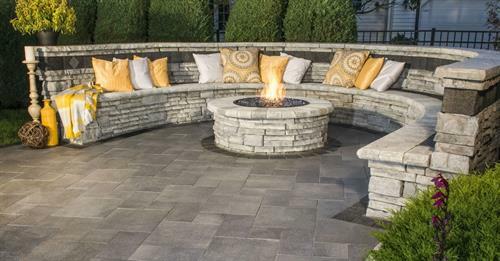 Specializing in Natural Stone, Driveway, Permeable, Pool & Patio Pavers, Unilock, Bluestone, Granite, Stone Veneer, Cobblestone, Fieldstone, Sandstone, Travertine, Flagging, Brownstone, Retaining & Garden Wall Systems, Steps, Treads including Radius, Pillar Caps, Wall Caps, Pool & Spa Coping, Granite Posts, Slabs, Curbing, Fire Pits, Pizza Ovens, Fireplace Stone, Outdoor Built-In Grills & Appliances, Bulk Materials & Much More. 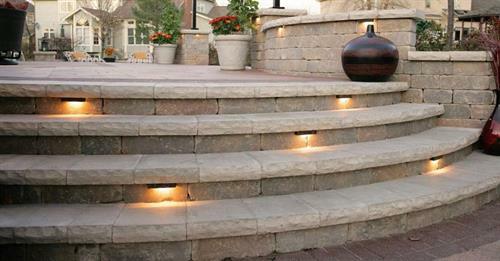 *Custom stone fabrication available with 24-48 hour turn around time in most cases. 3D Design Services. 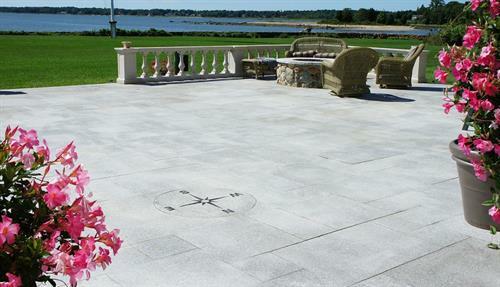 We carry lots of hard to find slab sizes and fast timely delivery to most of New England. After Hour Appointments Available. 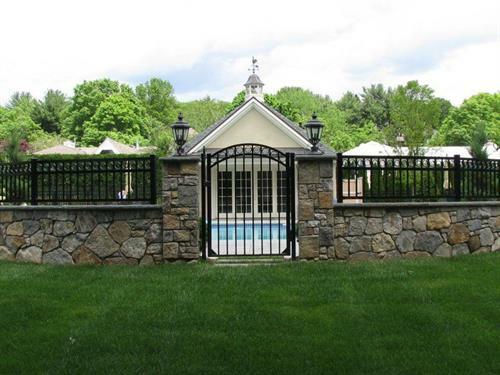 Brussels Garden Wall & Pillars with Series 3000 Accent, Beacon Hill Flagstone Patio. 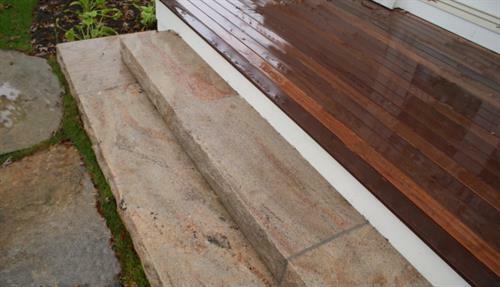 Bluestone Step Treads with Pennsylvania Natural Stone Wall. Pool Patio in Beacon Hill Flagstone with Brussels Fullnose Coping. Tribeca Cobble Driveway with Copthorne Accent. Backyard Patio in Copthorne, Brussels Wall and Fullnose Coping. Unilock Natural Stone Patio with Lineo Garden Walls. 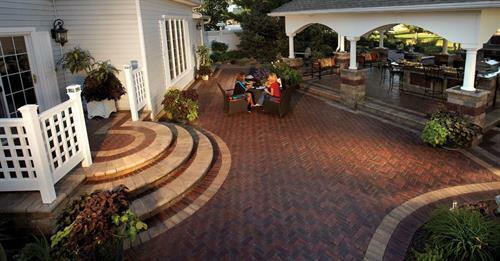 Thornbury Paver Patio with Townhall Accent. 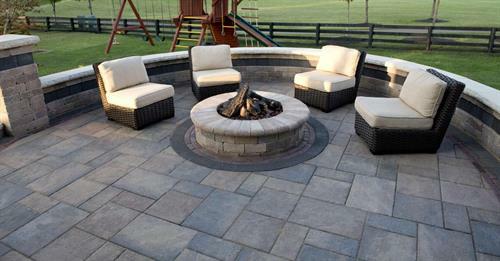 Rivercrest Sitting Wall & Fireplace with Umbriano Patio. Steps in Brussels Tumbled Wall Block with Ledgestone Coping. 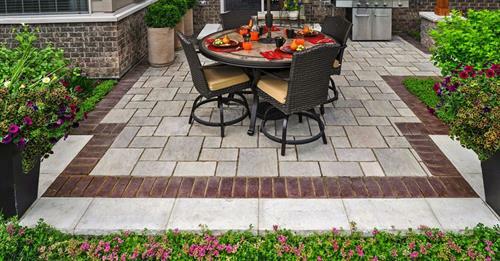 Front Walkway in Artline Pavers with Lineo Retaining Garden Wall. 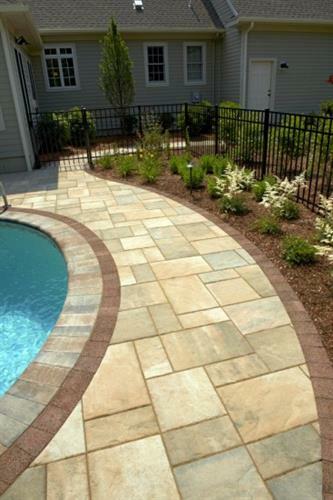 Unilock Natural Stone Pool Patio. 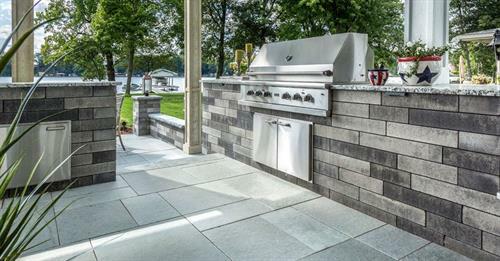 Lineo Garden Wall Used for Grill Island with Unilock Natural Stone Patio. 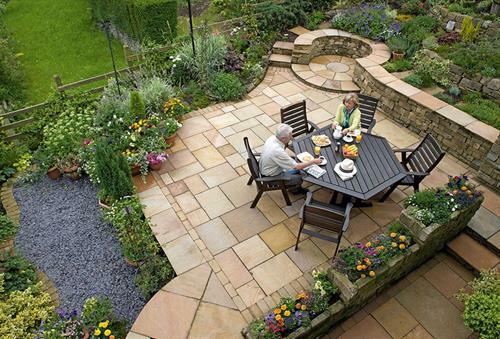 Unilock Autumn Harvest Natural Sandstone Patio. 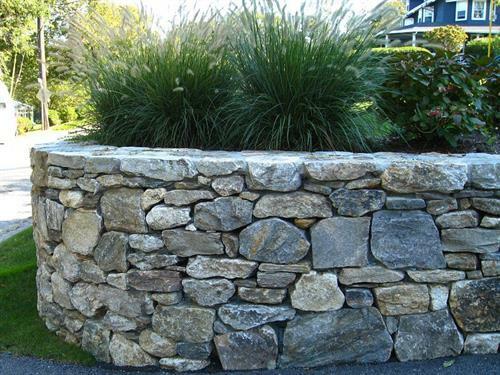 Pennsylvania Natural Stone Retaining Wall. 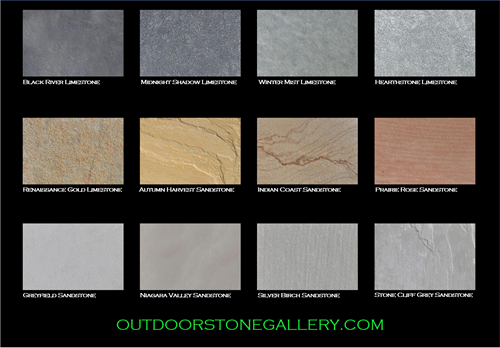 Unilock's New Natural Stone with Lifetime Guarantee.